A kit of fabric for this quilt was a gift from my sister Becky. Jerrianne machine pieced the blocks in December 1997, and added the borders in January 1998. It was machine quilted in February 2001 by Denise Green of HollyDee Quilts. Denise did a beautiful job of echoing the design of the appliqué flowers throughout the border. 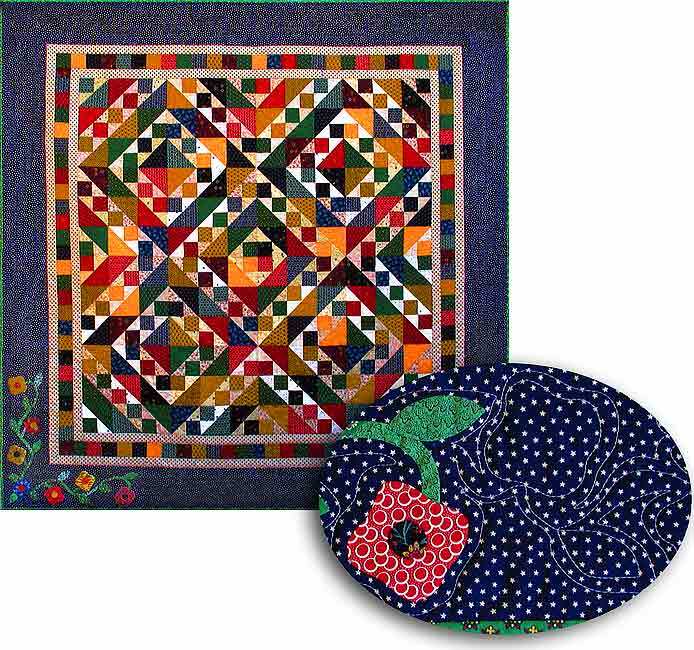 The design for the appliqué was taken from a quilt in the December 1996 issue of McCall’s Quilting Magazine.